Ali Kanea journalist and activist and Rohash Shexo UK Representative of Kongra Star (Star Congress) of Rojava. The revolution in Rojava (West Kurdistan/ North Syria), which started in Kobanî (Ain al-Arab) and spread like wildfire through Afrîn, Dêrik (Al-Malikiya), Qamişlo (Al-Qamishli), Amûdê and Serê Kaniyê (Ras al-Ayn) – the regions lying on the Turkish-Syrian border – has launched an alternative development in all aspects of society. Start of a Kurdish initiative for democratic transformation in Syria on the basis of unity and plurality – Discussions with the Syrian National Council (SNC) in Istanbul – Discussions with representatives of the Assyrians and of the National Coordination Committee for Democratic Transformation of Syrian Forces (CNCD) in Syria – Discussions with the Kurdish National Council of Syria (KNC – ENKS) – further discussions with various opposition groups and individuals from Syria in Europe. The Initiative, for a democratic transformation on the basis of unity and diversity, was introduced to the public in Qamislo (Al-Qamishli) on 8 May 2014, at a press conference where a foundation text outlining its principles was presented. These principles are the basis for discussions with progressive opposition groups on the future of Syria. The terrorist organization of “The Islamic State of Iraq and the Levant – ISIS”, has committed a new massacre against Syrian civilians in the village of Altaliliah, near Ras al-Ain “Sere Kaniye” city in al-Hasakah province. It has been reported by Human Rights Organisations, and confirmed by an official statement issued by the General Coordination of the Executive Councils of the Democratic Self-Administration areas, that ISIS has executed at least fifteen Arab Syrian citizens who fled from the oppression of the regime’s armed forces in Aleppo province; they mutilated their bodies, among them about seven children and three women. The terrorist organization also blew up a booby-trapped vehicle in the village of Tamad, and that claimed the lives of many civilians. The National Coordination Body for Democratic Change – NCB strongly condemns these acts of terrorism and sends their consolation to families of the victims. It reaffirms its position towards all jihadist terrorist groups in Syria embodied in its call for the international community to start taking practical steps and effective measures in confronting these groups, especially the non-Syrians terrorists. In this context the NCB draws the attention of the international community, especially European countries, to the fact that the People Protection Units – YPG has reported that “non-Syrian terrorists”, members of ISIS, were among the perpetrators of the massacre. Therefore the National Coordination Body calls upon the international community, especially the Permanent Member States of the Security Council, to consider seriously its proposal to issue a resolution that outlaws all non-Syrian fighters, especially as a number of citizens from some of these countries that have joined terrorist organizations in Syria under the umbrella of “jihad” is increasing dramatically, which will pose a serious threat to the security of their countries in the future, as it is posing a threat now to the security of Syria and the region . An appeal by medico international in cooperation with Civaka Azad – Kurdish Centre for Public Relations e.V. So far, medico alone has provided €100,000 in drug aid for the Kurdish regions, most recently on March 3 in the Syrian-Kurdish border town Kobane. On their website you will find information on this recent activity as well as on their aid projects in other parts of Syria, including the besieged Palestinian district Yarmouk in Damascus or a school project in the city of Erbin in the south of the Syrian capital. Visit the website to find out how you can help. 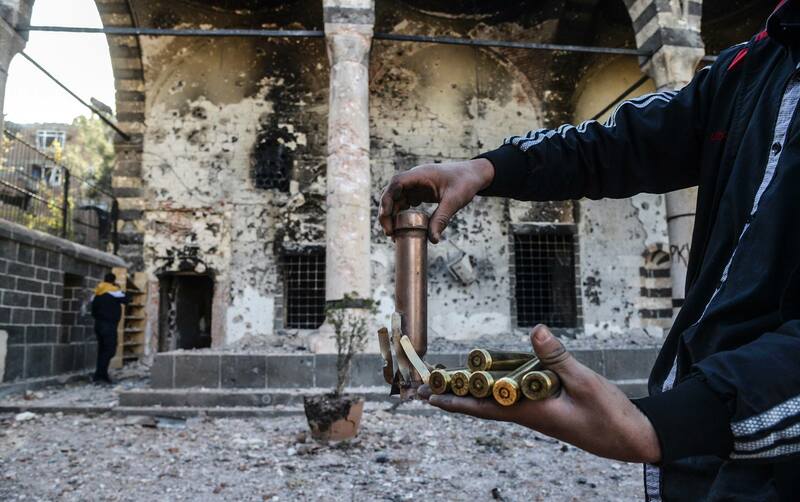 The Kurdish region Rojava in Syria needs help! The events in Syria are an embarrassing human disaster. For four years, we have witnessed the attempts to brutally crush the liberation movement that had erupted so unexpectedly. Consequently, the social upheavals for rights and justice became an armed rebellion which culminated not only into a full-scale civil war in Syria but also into a proxy war between important regional and international powers. But although the promise of democracy has not been fulfilled yet the hegemony of the old Republic of Fear, omnipresent until recently, is broken. And thus, despite everything, unexpected spaces have opened for all those who dared to resist in the name of freedom for themselves and for everyone. Perhaps nowhere is this more apparent than in the Kurdish region in the north of Syria. Democratic Self-Management in three provinces. National Coordination Body and the social contract. 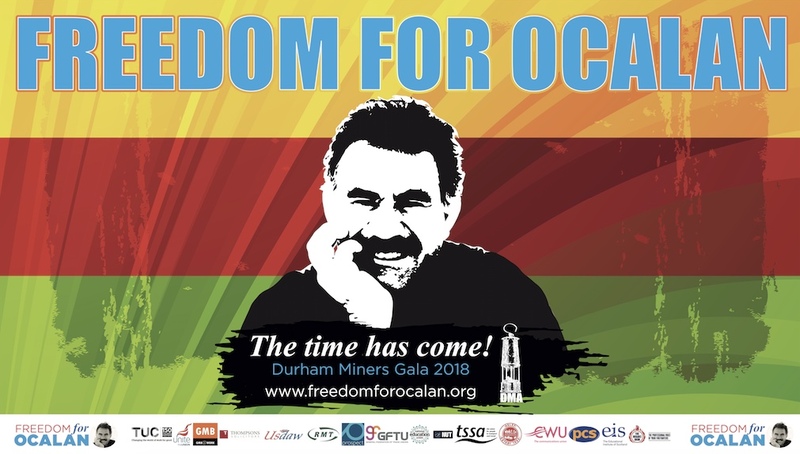 A Message from the leader of the Kurdish people Abdullah Öcalan to the Armenian people. The “Azadiya Lawn Kurdistan” Organization assures its support for the Rojava revolution. The charter of the new areas of democratic self-rule in Rojava has been made public. You can view the Charter in full here. We the peoples of the areas of self-administration of Democratic Kurds, Arabs and Assyrians (Assyrian Chaldeans, Arameans), Turkmen, Armenians, and Chechens, by our free will have announced this to materialize justice, freedom and democracy in accordance with the principle of ecological balance and equality without discrimination on the basis of race, religion, creed ,doctrine or gender, to achieve the political and moral fabric of a democratic society in order to function with mutual understanding and coexistence within diversity and respect for the principle of self-determination of peoples, and to ensure the rights of women and children, the protection defense and the respect of the freedom of religion and belief. The Kurdistan National Congress (KNK) has put together an international appeal to demand the inclusion of the Kurdish Supreme Council in the Geneva II Peace conference, which is scheduled to take place tomorrow. Hundreds of people, including Nobel Prize winners, members of Parliament from dozens of countries, academics and lawyers have all signed the appeal, calling for the Kurds of Rojava to have a voice in the peace process and a say in the future of Syria. We support the peace efforts initiated towards ending the war in Syria. This war has been going on for almost three years, resulting in the deaths of thousands of people, the displacement of millions more and the destruction of the country. 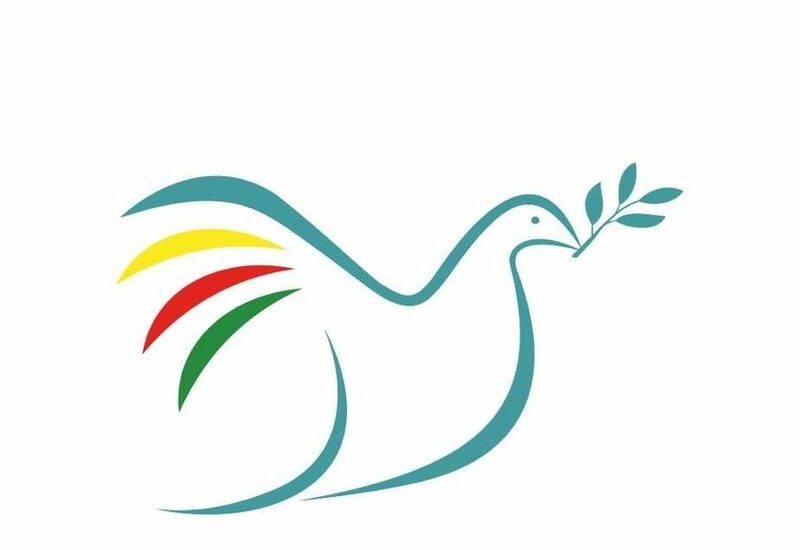 To achieve an end to this conflict, we hope that the Geneva II Conference to be held on 22 January 2014 will result in a peaceful and permanent solution. The Kurds in Syria have always declared their support for all such international efforts. The Kurdish people are struggling for the right to live freely with their own identity in a democratic Syria. The Kurds in Rojava (Syrian Kurdistan) have neither succumbed to the persecutions and massacres by the regime or by those groups linked to Al-Qaeda. The Kurds want to live autonomously within a democratic, equal and just Syria alongside all its peoples and religious minorities of the country; Syria represents a multi-cultural, multi-faith and multi-ethnic reality.